Think you know a lot about skin and skin care? You might be surprised at how much "common knowledge" about keeping your skin clear and healthy is simply not true. Here, we debunk 10 common myths about skin. There are hundreds of skin treatments that claim to help you look younger or slow the aging process. For reducing wrinkles, the topical treatment with the best evidence behind it is retinoic acid (as in Retin-A). Many over-the-counter products contain retinoic acid, but it's difficult to say if one is better than another. But the best ways to keep wrinkles at bay are using sunscreen and not smoking. Skin normally has bacteria on it. It's impossible to keep your skin completely free of bacteria for any amount of time. In fact, many experts are concerned that the use of antibacterial soap could lead to more antibiotic-resistant bacteria. Antibacterial soap is not necessary for everyday use. Regular soap is fine. Thorough and consistent hand-washing, not antibacterial soap, is what helps prevent the spread of infection. The truth is that an oily substance called sebum causes acne. It's made and secreted by the skin. In fact, there's no evidence that any specific food causes acne. 4. Tanning is bad for you. Spending an excessive amount of time in the sun or in a tanning booth can increase skin cancer risk, especially if sunscreen is not used. Skin cancer risk is correlated with total lifetime sun exposure and frequency of sunburns. Excessive tanning can also damage skin, causing it to wrinkle and age prematurely. But developing a light or gradual tan through repeated, but careful, sun exposure isn't dangerous. As long as you're taking precautions — such as using a sunscreen of at least SPF 30, applying it thoroughly and reapplying when necessary, and avoiding peak sun exposure times — a light tan with no burning isn't a warning sign. People often associate a dark tan with the glow of good health. But there's no evidence that tanned people are healthier than paler people. Sun exposure does have a health benefit, though. Sunlight activates vitamin D in the skin. Vitamin D helps keep bones strong, and may also lower the risk of certain cancers and boost immune function. Depending on how much vitamin D you're getting in your diet, a lack of sun exposure could increase your risk of vitamin D deficiency. Above a certain level, a higher sun protection factor (SPF) has little added benefit compared with a lower SPF. Experts generally recommend using sunscreen with an SPF of at least 30, which blocks out 97% of UVB radiation. 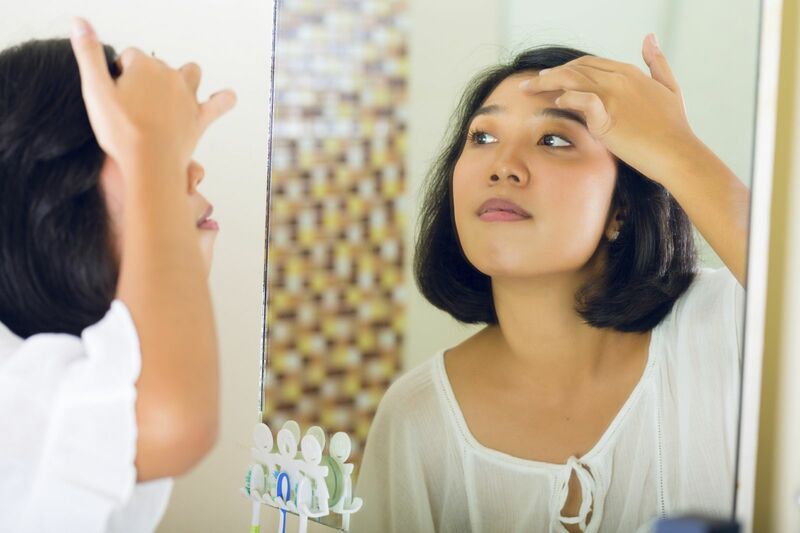 It may be worth a higher SPF if you're planning to be outside for more than two to three hours, especially during hours of peak sun exposure (10 a.m. to 2 p.m.). But in most circumstances, a higher SPF may not be worth the extra cost. 7. A scar that is barely noticeable is the mark of a good surgeon. The true skill of a surgeon is demonstrated by what he or she does between making and closing the incision. While surgeons routinely pay more attention to incisions on the face (using thinner suture, making stitches closer together, or avoiding the use of sutures altogether if possible), the appearance of a scar tells you little about the skill of your surgeon. 8. Vitamin E will make scars fade. There's little evidence to support this claim. Talk to your surgeon or dermatologist if you have concerns about the appearance of a scar. There are many options for improving the appearance of scars, including laser treatments. 9. Crossing your legs causes varicose veins. There are a number of risk factors for varicose veins, but crossing your legs is not one of them. Heredity is one of the most important — an estimated 80% of people with varicose veins have a parent with the same condition. Other things that make a person prone to varicose veins include smoking, inactivity, high blood pressure, pregnancy, obesity, and having a job that requires prolonged standing. If you already have varicose veins, elevating your legs and using compression stockings may be helpful. But keeping your legs "uncrossed" won't prevent or improve the condition. 10. Scalp massage can prevent baldness. There's simply no evidence that scalp massage prevents baldness, tempting as it is to believe.